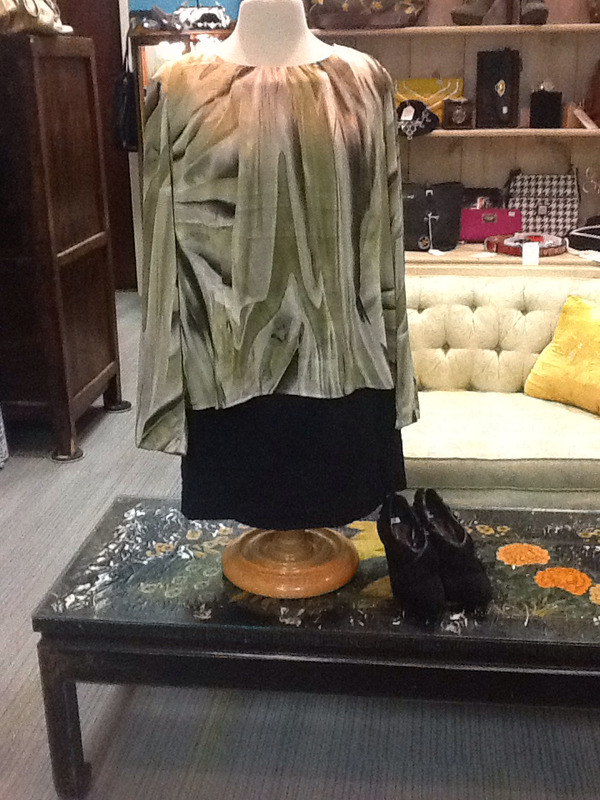 Silk top with green & gray pattern. Stunning! !